Moving is stressful. There are so many changes and so many little details to sort out. It is enough to make a girl crazy! 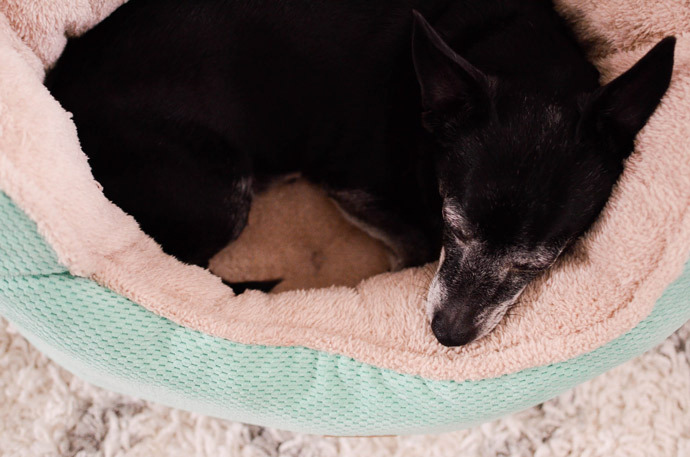 Something that we might not always take into consideration, however, is the stress that moving can also put on our pets, especially sine they have no idea what is going on! In the past year, Marly and I have been through a lot, and even went through a period of time where he had to stay with Dai since I could not have a dog at the place I was living. When it came time to look for a new home close to my new college, I knew that finding a place where Marly and I could comfortably be together was my main priority. No mama wants to be separated from their baby! Thankfully, everything miraculously worked out and we found the perfect place. Once I knew where we would be living, it was a goal of mine to make Marly feel 100% at home and comfortable in our new place. I wanted him to be able to freely run around, bark at every squirrel, and have his own cozy space to cuddle up in. When we moved, I got new furniture and spent a lot of time getting our room just the way I wanted it. 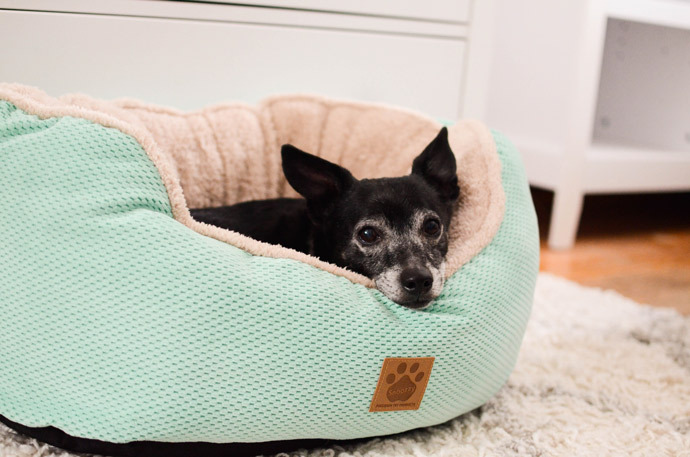 Since I got a new bed and bedding, I thought Marly deserved something new of his own too, that would also match the rest of the decor :) Thankfully, our favorite company Chewy was kind enough to send Marly the perfect little bed to fit into our new home! 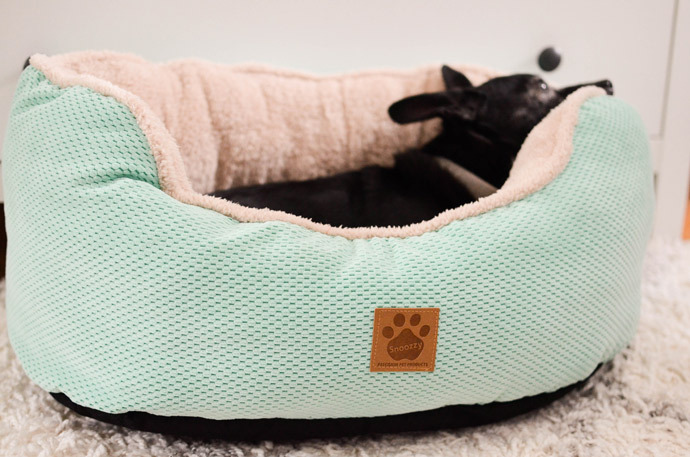 Marly has had several other beds in the past (the boy is pretty spoiled! ), but I think he particularly loves this one because of how high the sides of it are. It really envelopes him and makes him feel extra cozy! Plus, the material is so plush and soft, which I am sure he loves--I know I do. 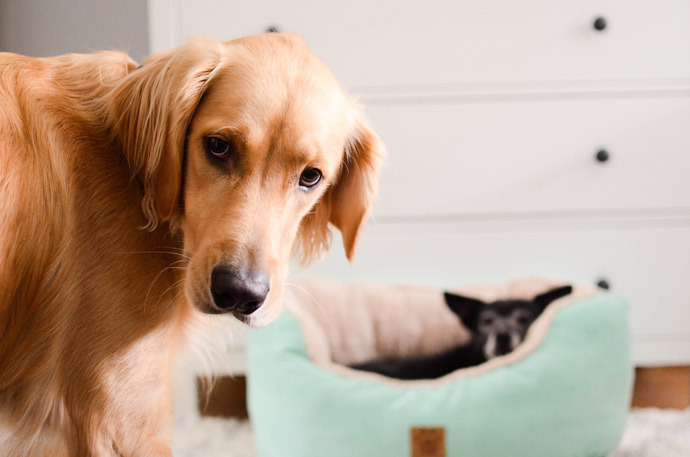 When it is time for us to go to sleep, I pull his bed close to mine and we each settle into our cozy new beds! Marly has always been a dog that has enjoyed sleeping in bed, under the covers with me every night. 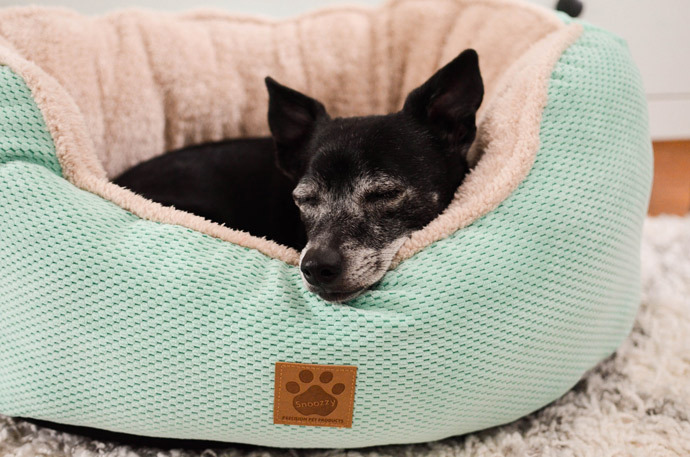 With his new bed, though, he often ends up sleeping there all night. I guess he is pretty happy! 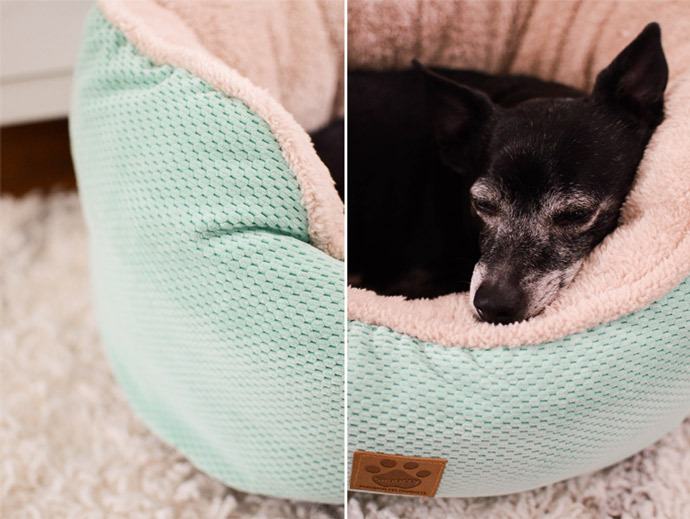 Aside from loving his new bed, Marly has also been adjusting very well to having a doggy roommate! I would actually say that they are very close to actually being friends. They bark at every sound together, and I have even caught them playing in the front yard and laying in the sun together :) He also loves having a big yard to run around in and we have started making regular trips to the dog park near our house! 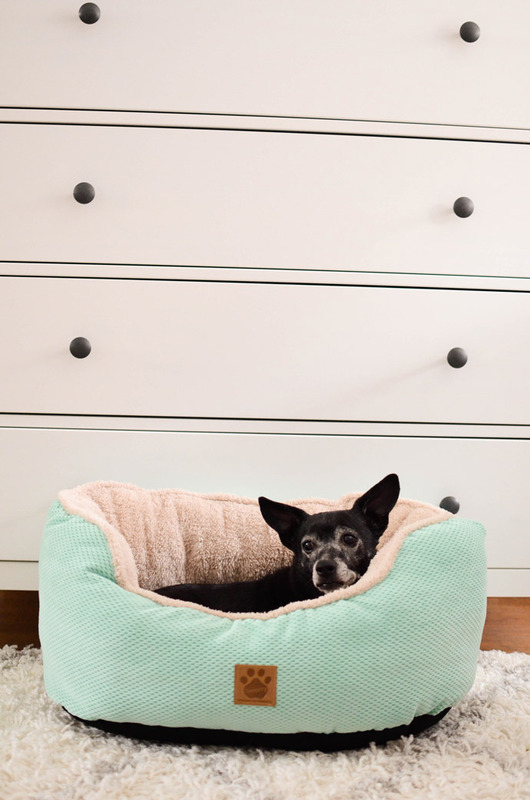 A new bed might seem like such a small change, but it is something that really helps a pup feel at home! He knows that he always has his own little space to retreat to when he wants to take a nap or be alone for a little while. When it came time to move, I was a bit worried about how Marly would do with the new environment, but thanks to this lovely gift from Chewy and us being able to be together again full time, I think he is doing great!